..from Thursday January 10th to Sunday, January 27th. Celebrate Your January 2019 in Jasper's Winter Wonderland! View More Tours in the Canadian Rockies.. Matched teams of horses, tuned bells, sleighs with comfortable seats and warm throw blankets make for a classic winter experience. Sleigh rides to Pyramid Island depart every hour on the hour from 10:00 am - 4:00 pm at Pyramid Lake's dock. Cost: $Free @ Patricia Street Downtown Jasper transforms into a street party full of fun and music. 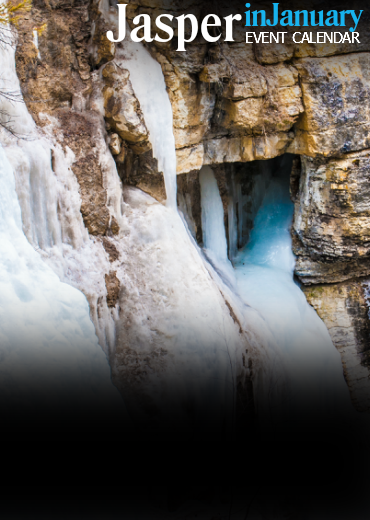 Street performers, live music, food, games and an ice bar, this is one Jasper in January event you can't miss. Cost: $65 adults, $25 youth (4-18) @ The Jasper Planetarium at the Fairmont Jasper Park Lodge - Winter is prime season for seeing the wonders of deep space. On select dates this January, our staff of astronomy experts will spotlight some of the most amazing galaxies in the heavens as part of our Planetarium & Telescope Experience COMBO. Cost: $25 @ Marmot Basin - Never Ever Days: Presented by the Canadian Ski Council. Lift ticket, lesson and rentals for only $25! Never Skied or snowboarded before? No problem! Cost: $Free @ Marmot Basin - Search around the Mountain for answers to our quiz PRIZES TO BE WON! Get your Scavenger Hunt sheet from Ticket Sales or Group Sales throughout the morning. Cost: $Free @ Marmot Basin - Test the best - for free! The first and last weekend of Jasper in January, we'll have various notable ski gear brands here to share the latest and greatest with us. Cost: $Free @ Marmot Basin - Every weekend this Jasper in January join Marmot Basin for FREE s'mores and fun times around the mid-mountain bonfire!